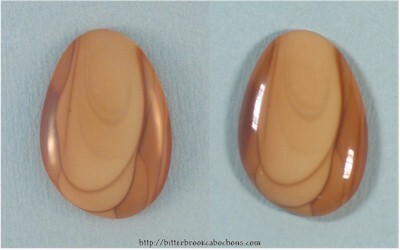 The pattern in this little Bruneau Jasper looks like a thumb, sort of... 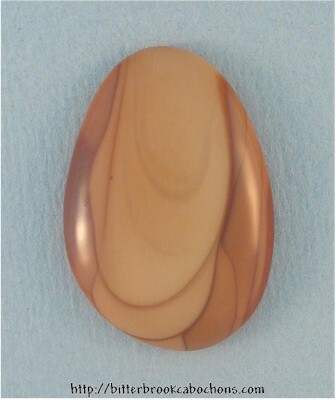 Regardless, this is a sweet cabochon, with clear patterns. 31mm x 21mm x 5mm. Weight: 26.35 carats.